As I may have mentioned on here before, although I have always considered myself a book person, I had several years where I barely read anything. When I was a student I (for some reason!!) decided to ignore the public library, and decided that I couldn't afford to buy books unless they were by authors I already knew really well, so didn't read for pleasure that much. Then, after 6 months of reading a lot at my parent's house (which is full of books!! Yayy!) and working right next door to a library (yayy library! ), I moved to Japan. Where I had no money and no easy access to English books. I could probably count on one hand the number of English books I read in the 3 years that I lived in Fukuoka. This means that I pretty much had NO idea what books were out and said to be good for quite a few years. This year I have gone from not really knowing what to read and begging my friends for recommendations on facebook, to listening to several book podcasts, reading a ton of book blogs, and having a TBR list which, at my current rate, would already take me over a year to plough through. What does this have to do with The Brief Wondrous Life of Oscar Wao? Well, Junot Diaz is someone who I heard and read a lot about, and also someone whose books are relatively easy to find in Japanese bookshops. Seeing as I am just trying to nudge my way back into the loop, I figured that it would be a good idea to try reading one of his books. I have a bit of a complicated relationship with short stories, so I didn't want to start off with a short story collection, so The Brief Wondrous Life of Oscar Wao it was! Plus, that title is pretty irresistable, no? The book is obviously about Oscar, the main character, but it's also about his family and their history, and about the Dominican Republic, a country which I am ashamed to say I knew next to nothing about (although I do know that Carla from Scrubs is Dominican! Haha). Oscar is a huge geek, and the story... is kind of hard to explain so I won't, but lets say that one of the things it focuses on is Oscar's quest to find love. That kind of makes it sound like a horrible romantic comedy.. it isn't, trust me! Although it took a while to get used to, I came to enjoy the way that the book was written. It has a LOT of Spanish in it, which was hard at first as I know no Spanish at all, but like when I read A Clockwork Orange, I found myself gradually coming to understand words which came up a lot, and, I won't lie, google translate helped me to figure out some of the rest. Luckily I LOVE languages, so I really enjoyed trying to figure out what was being said. I also felt like it was probably a realistic voice for the narrator to be using, as if you can speak 2 languages, you soon realise that there are some things which just cannot be expressed properly in both languages. Whenever I talk to English people living in Japan, we always end up littering our conversations with Japanese, not to show off that we know it, but because there are just some things which are easier to express in Japanese. So I found the voice pretty authentic. It also has a lot of sci-fi and fantasy references in it... I think. The only ones that I got, to be honest, were the Lord of the Rings ones, but I'm pretty sure that there were other ones in there as well! I felt a little bit like the Lord of the Rings references were overdone, but that may be because I understood them so they stood out to me. If I was also as into sci-fi and stuff, maybe I would have got everything! I found all of the things about the history of the Dominican Republic really fascinating, and it has made me want to go and read up on that. I honestly know next to nothing about South America, and reading this has made me eager to find out more. I'm pretty sure that this book is not for everybody. I actually spent the first third of the novel not really liking it, and if I were to tell you the plot without being afraid of spoiling the book, I'm not sure that it would sound particularly interesting. 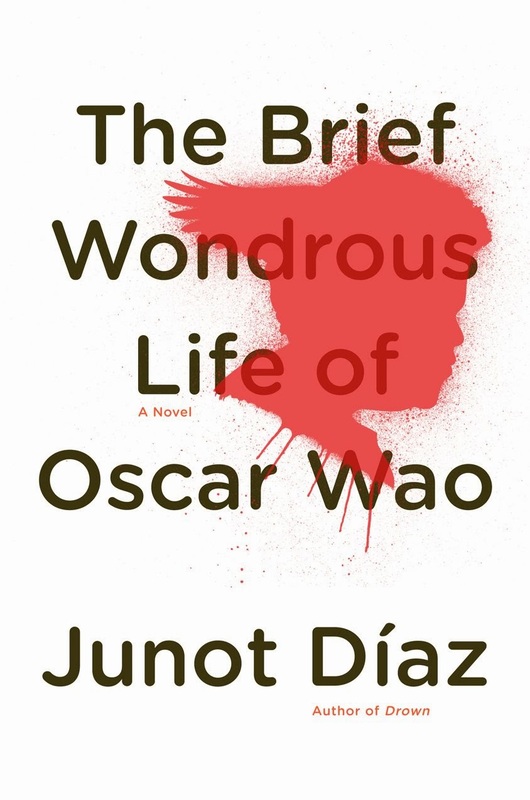 But once I got into it, I really enjoyed it, and am looking forward to reading more of Junot Diaz's work. One final thing... I've heard some people question whether Junot Diaz is sexist or not. The way in which the narrator and other people in the novel treat and talk about women definitely leaves something to be desired, but I don't think that that makes the writer sexist. The female characters are the most interesting part of the book (although I may be biased. Girl power! Etc. ), and I don't think that their portrayal was particularly sexist. They weren't particularly treated equally to men throughout the novel, but that is more of a reflection of the society that the novel is set in rather than the author's sexism. And, let's be honest, the world is still a pretty damn sexist place. So I'm holding my judgement for the time being. I don't really know anything about Junot Diaz, and I'm happy to leave it that way, unless he's actually the nicest person in the world! I find the more I know about authors, the more chance there is that they'll disappoint me and their books will be ruined for me (unless they're J K Rowling or Margaret Atwood), so I'd rather just not know anything. I haven't read anything by Junot Diaz BUT I did just get This Is How You Lose Her out of the library because library books are safest when you're not sure about the author!